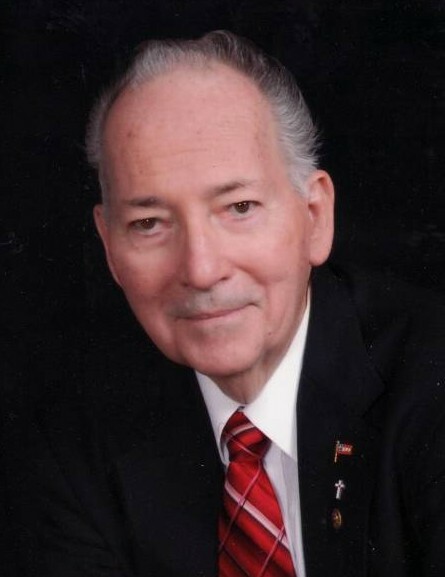 Everett LeRoy Dobbins, age 85, died Friday, February 1, 2019 at Memorial Hospital, South Bend, Indiana. Mr. Dobbins was born in Ligonier, Indiana on May 20, 1933 to Evans Huber and Dessie (Gaff) Dobbins. He honorably served his country in the United States Army from 1953-55 during the Korean War. He married Majorie Ann Gienger on March 2, 1957 in Kendallville, Indiana. Wife, Marjorie Dobbins of New Carlisle. Daughter, Susan Phillips of Hudson Lake near New Carlisle. Son, Mark Dobbins of New Carlisle. Grandson, Josh and Marissa Phillips of New Carlisle. Granddaughter, Terrie Phillips and her fiancé, Kyle Sult both of New Carlisle. Five great grandchildren: Makayla, Michael, Lane, Jesse, Mason. He was preceded in death by son-in-law, Kenneth Phillips; brothers, Charles Dobbins and Max Dobbins; sister, Evelyn Zimmerman. Visitation will be held Friday, February 8, 2019 from 10:00 AM – 12:00 PM at St. Paul Lutheran Church, 51490 Laurel Road, South Bend, Indiana. Funeral services will also be held Friday at 12:00 PM at St. Paul Lutheran Church with Rev. Carl Bassett officiating. Burial with military honors will follow at Hamilton Cemetery, New Carlisle. In lieu of flowers, memorial donations may be made to the New Carlisle American Legion Post 297.